Homozygous polled, black 38% Balancer bull. 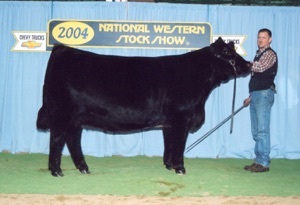 The safe and sound herdsire that offers the cowman’s kind in his progeny. Moderate Framed with added body length and extension sorts the progeny to the front end of every contemporary group. 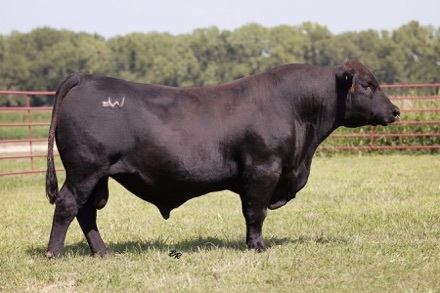 High selling sire group the last two years at Warner Beef Genetics were out of Copperfield and the feature bred heifers in the fall of 2018 were also sired by him.